Dowie's Place: Disconnected - Release Day & Excerpt!! Katy Warren thought her life was perfect. Then her new husband, and also high school sweetheart, gets discovered while theater acting and gets swept away to Hollywood. Once there, things change. Liam throws himself into the Hollywood life and ignores Katy. Bethany Daniel lives in Tx with her husband and 2 sons. She enjoys reading, photography and of course, writing. 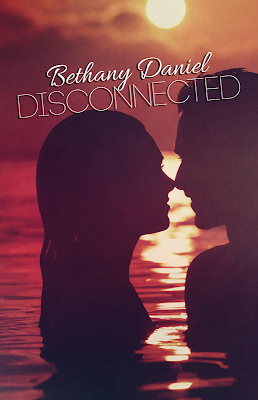 Bethany really found the passion for writing again this last year and came up with the idea for Reconnected after years of following Hollywood gossip and reading books about girls always chasing the guys and thought it would be nice for it to be the other way around. She is currently writing Disconnected, the story of Reconnected from Liam's POV. Here's an extra special treat!!!! I plopped down on my very expensive leather couch and nodded. "I do. This city makes me different. I'm not the Liam that came from a theater in Nevada anymore. Here I'm Liam Warren, movie star, and I feel like I need to act the part." I ran both hands through my hair and squeezed them into fists. "I just forgot to stop acting when I came back home." A year later, I was still no closer to figuring out where she might be. Hope was slowly slipping away of ever getting another shot at things. After yet another dead end phone call to a friend, I threw my phone across the room and watched it hit a wall. "What was that about?" Scott asked as he came around the corner. He'd taken up residence here. I'd figured he might as well. "The same freaking answers over and over and over again." I gritted my teeth. "I don't....I don't know what else to do Scott." I slipped into a chair and covered my face. "If she was going to forgive me, she would be back already." Scott came and sat on the coffee table in front of me. "You need to let go. I know you don't want to," he added in when I gave him a look, but he just shrugged. "Come out with me tonight. Mingle with some of Hollywood's newest and brightest. You have noticed your co-star, Alexia right?" He raised an eyebrow at me. I shrugged. "What about her?" "She's beautiful. And she wants you. It's in her eyes every time you guys are near each other. Marriage or not, she'll make you forget the hurt you're feeling right now." "I don't know, man. I don't think going out partying is good for me right now." "So don't think, get changed and come to the new club everyone's been talking about. A bunch of people will be there, you won't think about Katy and that mess at all. We'll just relax and have a good time." After some internal arguing, I finally gave in to Scott. Having a good time wouldn't kill me, and a little bit of distraction was welcome. I quickly got changed into some dress slacks and a button-up white shirt and just ran some gel through my hair before I walked down the stairs to where Scott was waiting. I nodded. "I guess so." He patted my shoulder as we both went out the door and I slipped behind the wheel of my little sports car. "I'll try to have fun, I promise." Scott smiled and nodded as he turned the radio on. "Good, that's all I ask." A little bit later we drove up to a large building that had a line wrapped around the side. There were strobe lights going, masking the camera flashes of paparazzi that were just waiting for people like us to drive up. "Are you sure this is a good idea?" I asked Scott, looking at the long line before we got out of the car. He smirked at me. "Our pictures are all over the place right now, we can just bypass all this," he motioned to the lines. "You know what Mitch always says about the paps. Any publicity from them is good as long as we don't destroy anything." He shruged and pulled me up to the front of the line by the bouncer. "Oh my God, Liam Warren and Scott Adams!" a redheaded girl that was flirting with the bouncer squealed when she saw us. "I can't believe I'm standing right beside you!" The bouncer shook his head as he looked us over. "You're both legal, right?" "Yep." Scott answered for the both of us and grinned as the bouncer stepped back and let us in easily. "See? No problems." He smiled over at me and directed me to a barricaded section where there were two different bouncers blocking the area. "Names?" one of the guys asked us. "I'm Liam Warren. This is Scott Adams." I pointed in his direction. The other bouncer looked over his list, nodded and let us go by. Immediately we were handed drinks, and I took a quick glance to see that it was beer before taking a swig and following behind Scott to a table in the back. Sitting there was Alexia Dalton and another actress I can't remember the name of. Alexia looked up at me with a big grin. "Liam! I'm so happy you decided to come!" She jumped up and hugged me before I realized what she was doing. "Um yeah." I ran a hand through my hair and sat down. The actress I can't remember looked over at me and smiled shyly. "I'm Josie." She reached her hand out and I shook it. "I'm an extra on the movie you're working on right now." "Oh, right." I nodded. "That's why you look a little familiar." She smiled a little bigger and nodded. "Yep. Alexia is showing me all the fun stuff to do around L.A."
"Yeah, I wouldn't be here if I could help it. I'm kind of being forced." I looked over in Scott's direction. "He says I need to get out more." "Getting out can be good," she shrugged. I shook my head and glanced around until I noticed Alexia had her eyes glued on me. "So Liam, how do you like L.A?" she asked as she crossed her legs and sent the hem of her dress riding up. "It's alright, I guess. It would be even better if my wife was still here with me." She pouted as she set her chin on her hand. "I heard about that." She reached her hand across to pat mine. "I'm so sorry. Some people just aren't cut out for this life." I narrowed my eyes and pulled my hand away from her as Scott brought another round of drinks over. "Everyone know everyone?" he asked, taking a drink of his beer. "Yep." Alexia smiled and looked me up and down again. "You know Liam; our characters get very cozy over the next couple days." I just shrugged. "Great," I replied dryly. Scott kicked my foot under the table and sent me a glare. I just took another drink and sighed. Over the next few hours the four of us ended up downing drink after drink, and Scott was right. I forgot why I was so mad and hurting in the first place. Alexia had scooted herself closer to me and I didn't even mind her rubbing her fingers up and down my arm. "So, Liam," she whispered by my ear, and I looked down at her. "How about we get out of here and get to know each other really well?" She raised an eyebrow at me suggestively and leaned in a little closer, until she had pressed her lips to mine and for a minute, I froze. But the alcohol was flowing through me, and it had been a whole year since I'd had the comfort of my wife, and I need this; I deserved this. I could find another way to be happy. I let myself kiss her back and smiled flirtatiously as I pulled her up out of her chair. "Let's go." But the next morning when I tried to roll over and was stopped by arms and legs draped all over me... it was then that everything came crashing down. I slept with Alexia, I betrayed Katy. Oh God, what had I done? Disconnected, that's how I've felt the last four years since Katy walked out of my life. I admit, when I found myself in Hollywood back then, I let it get to my head. There was just so much out there, and it gave me culture shock. Unfortunately, I took it out on Katy-- the one person who saw past all that crap and still loved me for just being Liam. That party that Mitchell Fallon and the other Excite execs talked me into having to "rub elbows" with Hollywood’s elite cost me my marriage. I haven't been able to forgive myself ever since. Now I'm on a plane to Georgia with my best friend, Scott Adams. We've been in this whirlwind together. He was picked up by Excite around the same time I was. "Ready to find us some Georgia peaches, man?" Scott asks from beside me in our first class seats. I just roll my eyes and run a hand through my hair. "I don’t know man, doesn't it ever get old?" He looks at me like I've lost my mind as he puts his hand against my forehead. "Are you sick, Liam?" I shove his hand away and sigh. "I'm just thinking about everything, ya know?" I shrug and look down at the floor. "You have to let her go sometime," Scott tells me in a whisper. "I know you still love your wife, but she left you, man. You have to focus on your future. You're the big man now! You can walk into any building and have every woman in the place throwing themselves at you. Maybe there's someone you're really meant to be with out there." I just shrug, "Yeah, maybe." The next morning, Scott and I are heading over to a local college. Excite wants it to be a PR opportunity, show we are all about education or something. As soon as we step into the Dean's building, there are at least 40 girls that suddenly need to be in that building for something, of course. "Liam! Scott! Could you please--please autograph something for me?" a girl stammers as she grabs some paper and a marker out of her bag and lunges at us with bugged out eyes. "Sure." I flash a grin at her. "Who should we write it out to?" "Laney," she breathes, and after both Scott and I have signed she squeals and runs into the group of girls, who then join her in squealing. "I'm so sorry for that." A secretary shoots a look over at the girls. "Dean Paul is ready to meet with you in his office." We nod and follow her down the hall where there's a plaque with "Dean Paul" in golden letters. As we enter, he quickly stands and smoothes down his suit. "Mr. Adams, Mr. Warren," he reaches his arm out to shake our hands, "It's a pleasure to meet you. Would you like a tour of our school grounds?" "Sure," Scott pops in with a smile. I bet he has pictures of college girls rolling through his head. "We'd love to." While we're walking through the grounds, Dean Paul goes on and on about the history of the place and I halfway tune out. Anywhere I go, if I catch a glimpse of a girl with long brown hair, I always stop to see if maybe--just maybe--it's Katy. I know it's a really long shot, but I've never stopped looking. She's always in my thoughts and I can't ever just forget her like she seems to have forgotten me. We walk into the middle of the courtyard area and as the Dean is sweeping his arms around, I see someone that walks just like Katy, with a small bounce in her step and a habit of tucking her hair behind her ears. She's holding onto the hand of a tall guy with cropped brown hair. She has the same hairstyle as Katy, too... the same one she's had her whole life, since she always refused to cut it much shorter or dye it. My heart is pounding. There's no way, right? Here in Georgia on some itty bitty college campus? Without realizing it, I step away from the Dean, Scott, and the bodyguard and move closer. My eyes are glued on the girl, and then she looks directly at me before continuing the conversation with the boy she's talking with. It's Katy. My Katy. "Oh my God, Katy?" I can't hold in. It's her. It's really 100%, honest to God, my Katy. Right there, walking with another guy. All the anger I felt that day four years ago bubbles up inside me and I take off in a run to where she is. 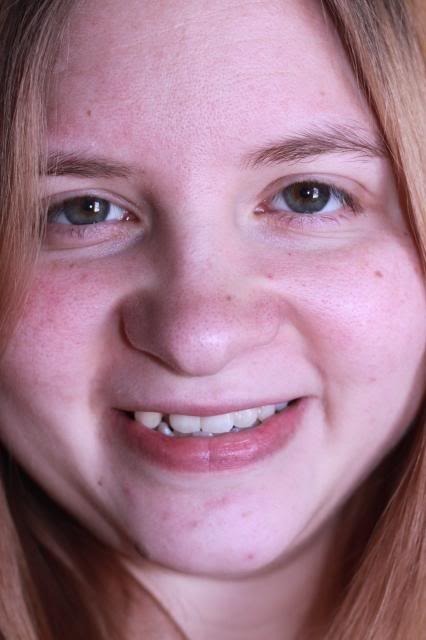 "Katelyn Marie Warren!" I yell at her and notice her flinch. The guy I saw her with pulls her behind him. "Dude, I don't know what your problem is but you have the wrong girl. Her name is Kate Parker, not--whatever you just said," he says with a shake of his head. I couldn't help but laugh, albeit humorlessly at that. "Oh, really? And who exactly are you?" I ask him as I cross my arms and steal a glance at Katy. She hasn't told this guy a thing. He has no idea she's a married woman. Then she shoves in front of the guy and crosses her own arms as she steels herself to confront me. "He's my boyfriend," she replies with a glare, and I can't help but smirk across at her; she's so cute when she thinks she's being mean. I step closer and reach my hand out. "Well, boyfriend, I'm the husband." The shock of that registers in his eyes as he shoves my hand away, "What? What is he talking about, Kate?" he turns around and asks Katy. She grits her teeth before she replies, "Husband in name only. We were young and stupid. He got discovered, ran off to L.A., and had his pick of every beautiful woman that wanted to come fill his bed." She really wants to piss me off. "I NEVER cheated on you, Katy!" I yell as Scott wanders over with the bodyguard. Perfect timing, guys, I think as I look over my shoulder at them. Then she's laughing. Freaking laughing at me! "Maybe you didn't then, but since then? I've seen all your magazine covers, Liam! How many "girlfriends" or, hell, just one night stands, have you had in the last four years? I'm not Katy Warren anymore. I'm just normal Kate Parker again. And I've moved on and just want to forget that I was ever married to someone like you!" she yells back at me. Katy grabs hold of the boyfriend guy and turns to go, but I'm too mad to let her. I run over and grab her elbow and turn her back around to me. "How many men have you had, Katy? How many have you dated or had flings with since we've been separated? And a guy like this?" I point at her boyfriend and shake my head. "You know your Mama must be so disappointed. You could do so much better." Before I even know what she's doing, I feel my cheek burn as Katy slaps me. "Shut up!" she yells at me angrily. All I can do is stand there, tense, as I feel all kinds of emotions rolling through me. "Lucas is great, thank you very much. He’s never hurt me like you did. The only one my Mama has ever been disappointed in is you! So please," she says as she starts to storm away again, "do me a favor and stay on your side of the country in L.A."
Katy still doesn't want me. I just keep standing there, watching her in shock, unable to move. "By the way," I hear her yell over her shoulder as she and the boyfriend--Lucas, apparently--take off, "I want a divorce!" She has a boyfriend, she just freaking slapped me in public, and she says she wants a divorce? Oh there is no way that is happening, because seeing her in person just reminded me even more how much I love her, even if she hates me. "What the heck was all that?" Scott asks as he comes up to me. "Who was that?" I turn towards him and take a deep breath to pull myself together. "That was Katy, Scott." His eyes bug out. "Katy? Like, your wife, Katy?" I nod and look in the direction she just left in. "I will be," I say, "because I'm going to win her back."